AFPA proudly supports our military family. AFPA is a Military Friendly School and all AFPA certification programs qualify for VA reimbursement. 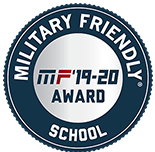 AFPA American Fitness Professionals and Associates has been designated a Military Friendly School. Military Friendly® is the standard that measures an organization’s commitment, effort and success in creating sustainable and meaningful benefit for the military community. Get reimbursed for any/all AFPA Certifications. Active military, veterans and eligible spouses and dependents can receive reimbursement. This benefit applies to all AFPA Certifications. 1. Pass your AFPA Certification exam. 2. Download and complete VA Form 22-1990 or complete online. Once you have completed this form, you will be in the military admin system as "eligible and approved" for benefits (for both active duty and veteran). If you are an eligible child or spouse, complete VA Form 22-5490. State the following: "I authorize the release of my test information to the VA". Here is the Check List for Certification Reimbursement from the VA.
Be sure to request reimbursement for the AFPA Certification that you completed. For example, AFPA Personal Trainer Certification or AFPA Nutrition & Wellness Consultant Certification. Do not use the term "License", "School", or “College” as this will cause approval delays. If you have any questions during this process, please don’t hesitate to call or email AFPA for assistance. AFPA proudly salutes our military members. Thank you for your service! For more information on G.I. Bill reimbursement and other FAQs, visit the V.A. website. For a quick search of the AFPA WEAMS listing, go to the WEAMS License/Certification Search: Choose "Certification" in the drop down menu for "LAC Category Type” and “NJ" for State and select any of the Fitness, Personal Trainer and/or Nutrition Certification programs of interest. For assistance, please call 1.800.494.7782. Thank you to all the men and women serving and defending the United States of America! The new licensing and certification benefit allows the VA (Department of Veterans Affairs) to pay you, if you’re eligible, for a test for a license or certification. You can receive reimbursement for approved licensing or certification tests you take on or after March 1, 2001. These tests must be specifically approved for the G.I. Bill. All AFPA Certification exams have been approved. Becoming a certified professional can open doors for you. Certification is voluntary, but frequently sought after and will help you get, keep, or advance in a job. You can receive reimbursement of up to $2,000 per test but not more than the actual cost of the test. You can receive benefits to retake a test you failed. The number of tests you can take is unlimited, except that you can’t receive benefits to retake a test you passed. To find out if you might be eligible under any of these programs, visit www.gibill.va.gov. Reminder: You generally have 10 years after your discharge from active duty to use your benefits. Visit www.gibill.va.gov. Click on “Education Benefits”, then “Search for Approved Education Programs”, followed by “Search for Approved License & Certification Programs”. Click “HERE” and under “LAC Category-Certification” enter “NJ”. You will see all AFPA Certification Programs listed here. AFPA (American Fitness Professionals & Associates) Certification exams were approved on March 1, 2005. Get the ball rolling by taking the certification of your choice and apply for benefits. Your name and Social Security number or VA claim number. The name of the test you took and the date you took it. Name and address of the organization issuing the license or certificate (not necessarily the organization that administered the test). Cost of the test (Note: Registration fees, preparation guides, processing fees, etc., will not be reimbursed). If you have never previously filed a claim for VA education benefits, you’ll also need to submit an application for benefits. You can print either of the following forms from www.gibill.va.gov. Or call 1-888-GIBILL-1 (1-888-442-4551) and request the form. 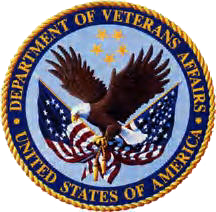 Send the application form along with the other information above to the VA regional office that processes your claim. The addresses are on the forms.